Sourcing specialty and vintage rentals to complete your vision for life's most important events can be daunting. We combine your aesthetic with our ever-growing collection and creativity to design cohesive decor and styled vignettes that tell your unique story. We rent, style, and deliver pieces of our crafted and curated collection to reflect your aesthetic and create stunning visual impact, launch your event into the experience you envision and create the memories you deserve. Our ever-growing collection of crafted and curated pieces intentionally designed to add both functionality and style to your event is at your fingertips to help you create a unique experience nothing short of breathtaking. From rustic elegance to boho chic we offer one-of-a-kind props, reclaimed farm table and mismatched chairs, upholstered lounge furniture, furniture pieces, tablescape décor, serving pieces, arbors, and more to set the stage for stylish events. 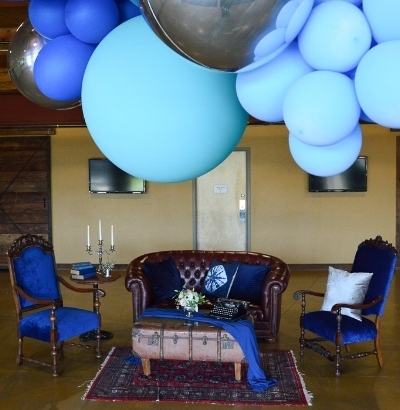 Planning your dream event but not sure how to design your décor cohesively or feeling anxious about putting it all together on the day of your event? Styling services are available to take our pieces and your vision to the highest level of design. Launch your event into the experience envision for the memories you deserve. We work with you to select your décor, style and deliver it, and remove after your event so you can worry less and experience more. All furniture and large detail orders require white glove delivery service which includes the time and labor in packing the truck prior to the event, driving to the venue, delivering all items on order, setting up large items according to site plan, returning to venue to pick up items at the end of event, driving back to the showroom, and the time and labor to unload the truck, clean and properly restock all items. Delivery services ensures that all tables, chairs, and furniture pieces are put into place according to venue plan or on-site direction. Small rentals and tablescape styling are not included in delivery. Styling services are offered for an additional charge. White glove delivery services generally range from $200 to $650 and are calculated based on distance, labor involved, order size, requested time for delivery/pickup, and venue restrictions. Chosen a date and venue and want to view our collection in person? Give us a call to schedule an in-person consultation so we can get to know you and your event. An event date and venue booking is required prior to scheduling and your first hour is complimentary. Our showroom is located at 307 G Street in the revitalizing Rivertown Business District in Downtown Antioch. Looking to create impactful signage, relay information, or help direct your guests? Our customized sign-making services can really help your event stand out! Our selection of frames, chalkboards and mirrors make the perfect menu, seating chart, or program. Our minimum charge for customized sign work is $50.00.